Only a few, short weeks ago, it felt as though Summer might last forever, but of course, the seasons march on a pace and here we are, pulling on sweaters and wondering when it will be acceptable to crank up the central heating. Thankfully though, there's more to Autumn than just shorter days and chilly mornings. This is harvest time for a plethora of fruits, vegetables and grains, many of which will make an appearance on our plates and some of which should definitely be charging our glasses. British apples, pears, blackberries and plums are all at their best right now and if you are lucky enough to grow your own, you're probably wondering what to do them all, so when you've had your fill of fruit crumble, might I suggest that you turn your culinary skills to the drinks cabinet. After all, a warming tipple is a welcome pleasure as the nights draw in and the temperature drops. But don't worry if you don't have a garden full of fruit trees, the supermarket has plenty of British produce in store right now that will taste better than ever. 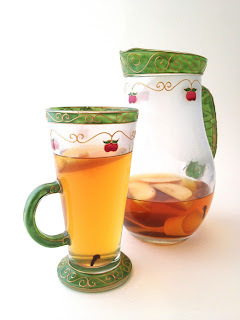 For this first cocktail, I actually made some pear nectar, which may sound a little over the top, but was surprisingly, very simple to do and a fabulous way to use up a surfeit of pears. Mine, I hasten to add, were from the supermarket and had inconveniently all decided to ripen at once, simultaneously turning from molar challengingly hard, to squish, within a day. As I couldn't convince my children that they really wanted to eat a bowlful of pears in a sitting, I decided to make them into juice. Chop the pears into quarters - no need to peel or core - and add to a pan with the water. Bring to the boil, cover and simmer for a few minutes. Allow to cool and place a sieve over a large bowl. Mash the pear through the sieve and hey presto...pear juice! As there are no preservatives, I suggest you use the juice within a day or so, but if you do want to store it for longer, you must keep it refrigerated in an airtight, sterilised container. This is very important as juices can become volatile if not kept in a sterile environment. However, it's so delicious, I can't imagine it will last too long. Add a vanilla pod, cinnamon stick and a couple of whole cloves to a pan with one cup of water. Bring to the boil, reduce heat and add two cups of sugar. Simmer for 5 mins and allow to cool. 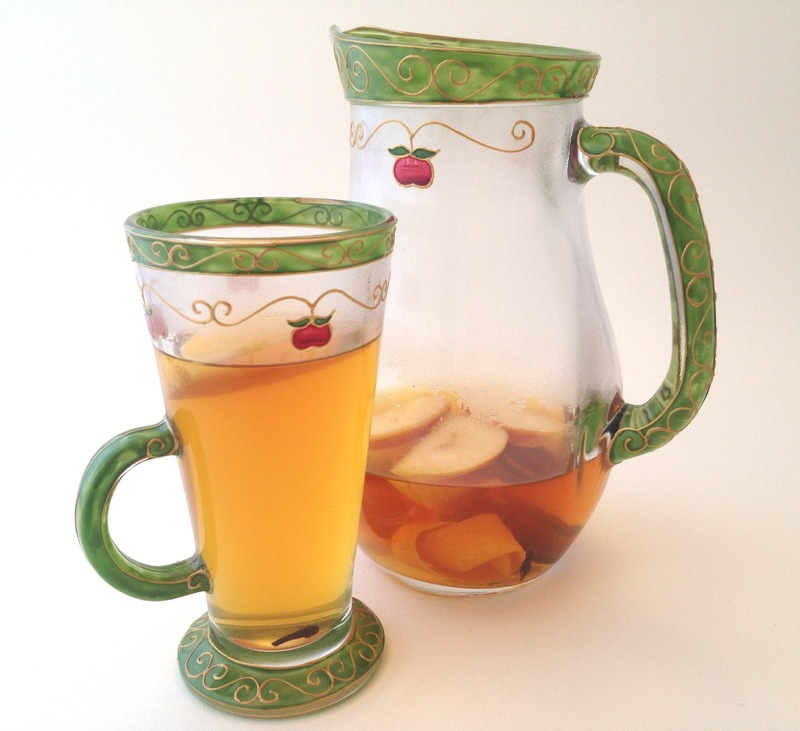 Phew, so you've got your pear nectar, you've got your syrup, let's make some cocktails already! Using a paring knife, cut a strip of zest from and orange - try to leave the pith behind if possible. Add the vodka, pear nectar and syrup to a cocktail shaker with a handful of ice cubes. Shake hard for about 20 secs and strain the contents into a chilled martini glass. Twist the orange zest over the top of the drink to release the essential oils and use as garnish along with the cinnamon stick. 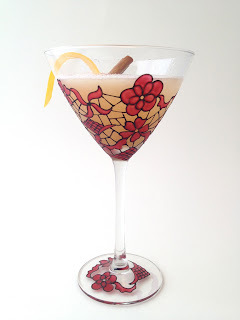 Next up is a cocktail that will definitely warm you up after a chilly day. It combines lots of warming ginger with the earthy spiciness of tequila and the fresh flavour of blackberries. If you can pick your own, so much the better, just give them a little wash before you start. 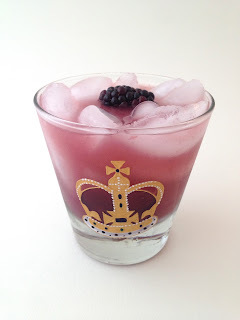 Add the ginger and blackberries to a cocktail shaker and muddle (squish). Add the tequila, lemon and syrup with a handful of ice and shake hard. Strain the contents into a chilled tumbler or hi ball, filled with ice and top up with a little sparkling water. Stir gently to combine and garnish with a fresh blackberry. Finally, Autumn hasn't really started before you have your first Mulled Cider and Britain has no shortage of fine ciders to choose from. With the apples, literally falling out of the trees, there is no better time to celebrate that most British of drinks and warm your very cockles, to boot. I could probably write a whole book, just of Mulled Cider recipes and indeed, I may, but for now, let's settle on just one that will see you through the next cold snap and into the Festive Season. The quantities here will make two generous cups, but if you are entertaining guests in the near future, scale up and give them a warming treat. Put all of the ingredients in to a heavy bottomed saucepan and heat gently - do not allow to boil. Simmer very gently for about 20 mins and pour into cups with the apple wedges - try to leave the zest etc, behind, as the cups get a little crowded, but be sure to eat the apple at the end - it's delicious!